Directed by Shri Narayan Singh (Toilet Ek Prem Katha fame), and starring actor Shahid Kapoor, Shraddha Kapoor and Divyendu Sharma in lead roles, along with Yami Gautam, the recent flick Batti Gul Meter Chalu has started low at the Indian domestic box-office. The film released on Friday 22nd and managed to earn only Rs.6.76 crore, which is really below expectations. Set in Uttarakhand and dealing with the issue of overcharged electricity bills, the social drama was also received in a mixed manner by critics too, which may have prevented many moviegoers from theaters and watch it. The reactions have been mostly mixed to lukewarm. After Padmaavat, one of the biggest blockbusters of this year, this is Shahid Kapoor’s second film; while basking in the success of Stree, which was released last month, Shraddha Kapoor is back in a small town girl avatar. Performances of the film have been good, but according to many, it’s the length of this film that bothers, at 2hours and 43minutes. Batti Gul Meter Chalu has been made with a budget of around Rs.95 crore. Now, looking at the current opening on the first day itself, it seems critical that it will be able to even surpass its cost of production. Nonetheless, it’s just the first week itself and the film may attract a larger audience in the next week. But that also seems uncertain, because of the tough competition not from the upcoming Bollywood movies, but Hollywood flicks too! Sony/Marvel’s Venom, starring Tom Hardy is releasing next Friday in India and considering the fact that Indians are also superhero fans, it’s obvious to say that Venom too, will be able to lure many moviegoers. 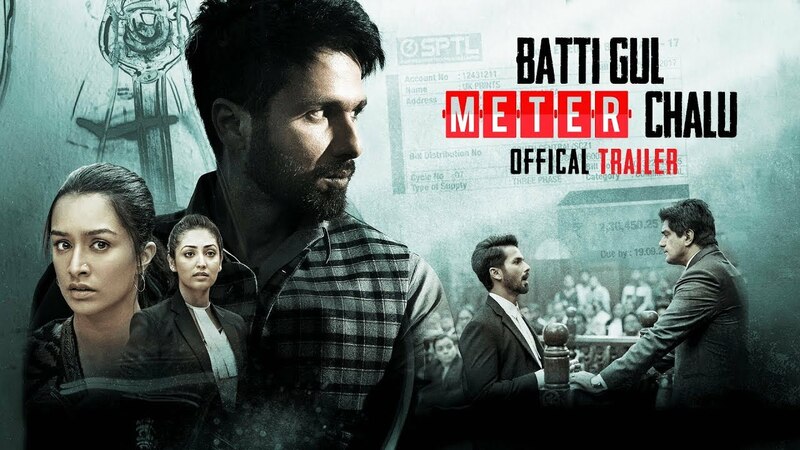 Watch the trailer for Batti Gul Meter Chalu below. Pingback: Venom Review: Everything collapses, but Eddie Brock and the Symbiote!